The Office of Behavioral Health, in collaboration with the Colorado State Innovation Model (SIM) and the University of Denver’s Graduate School of Social Work, is hosting the all-day Integrated Behavioral Health (IBH) Best Practices Training Symposium in the University of Denver's Craig Hall on Friday, November 2, 2018. Trainees will complete the Integrated Behavioral Health (IBH) Training Bundle, which comprises six training modules developed by the CU Department of Family Medicine and the Office of Behavioral Health with funding from SIM, a federally funded, governor’s office initiative. All participants who complete the Symposium program will be awarded an IBH Certificate of Completion. The content of each module aligns with the Core Competencies for Behavioral Health Providers Working in Primary Care and the IBH Best Practice Guidelines. 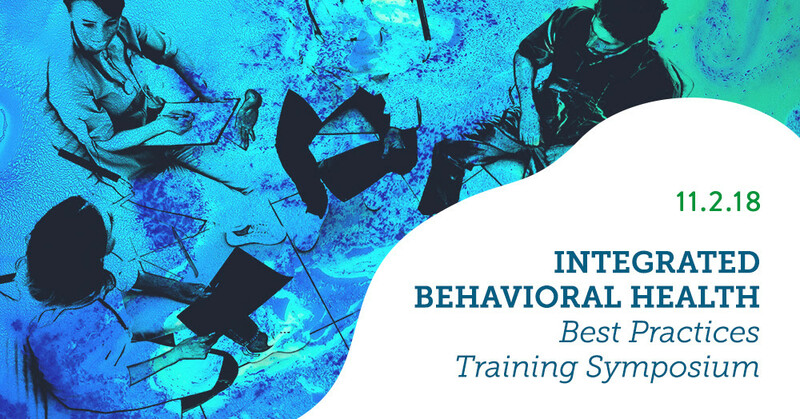 National and Colorado experts in behavioral health, practice transformation, and integrative teaming will present the content of the IBH learning modules. Please join us for this interactive learning experience. Save the date please. Registration information will be coming soon. Notes: The project described was supported by Funding Opportunity Number CMS-1G1-14-001 from the U.S Department of Health and Human Services (HHS), Centers for Medicare & Medicaid Services (CMS). The Colorado State Innovation Model (SIM), a four-year initiative, is funded by up to $65 million from CMS. The content provided is solely the responsibility of the authors and does not necessarily represent the official views of HHS or any of its agencies.